Throughout your childhood you’re gifted with perfect and even-looking skin, but as time goes on it’s almost impossible to ever fully recover your baby-like complexion. Sun damage, acne breakouts in your adolescence that can lead to scarring and the natural process of aging are all contributing factors to the discoloration and unevenness of your skin tone. One common thread shared by these variables is that they’re all inevitable, no matter how hard we try to avoid them. While we may not be able to prevent it, we can most definitely repair it! Drink, drink, drink. In fact we want you to get completely intoxicated off of water. Staying hydrated is the most important thing you can do for your body and its rejuvenation. It not only helps in cleansing your skin from the inside out, but it prevents any unwanted wrinkles by filling those pockets with necessary fluids. Of course try to avoid any sugary drinks or alcohol as much as you can since these alternatives act as moister-suckers, but we understand the occasional indulgence – we’re guilty too! So next time you’re out, ask for a tall glass of H20…Shaken, not stirred. Nothing is better than feeling the warm sun kiss your skin. While it may seem like an attentive boyfriend one minute, it can turn into the psycho ex the next, causing nothing but damage and harm to your skin. In fact, the most common cause for an uneven skin tone is sun damage. Start incorporating the application of sunscreen into your daily routine. Most daily moisturizers and some makeup already have a sunscreen worked into their formula but make sure it’s at least SPF 30. It’s also important to ensure that the sunscreen you’re applying has both UVA and UVB protection to help prevent from both sunspots and immediate burning. ZO Skin Health offers a wide variety of sunscreens and products to reverse the effects of sun damage, available in The SHAW Center. We also recommend exfoliating at least once a week and employing a moisturizer thereafter. The Shaw Center offers a complete skin rejuvenation treatment, which will leave you feeling brighter, younger and healthier. Laser360 provides a more youthful look, without an invasive procedure. 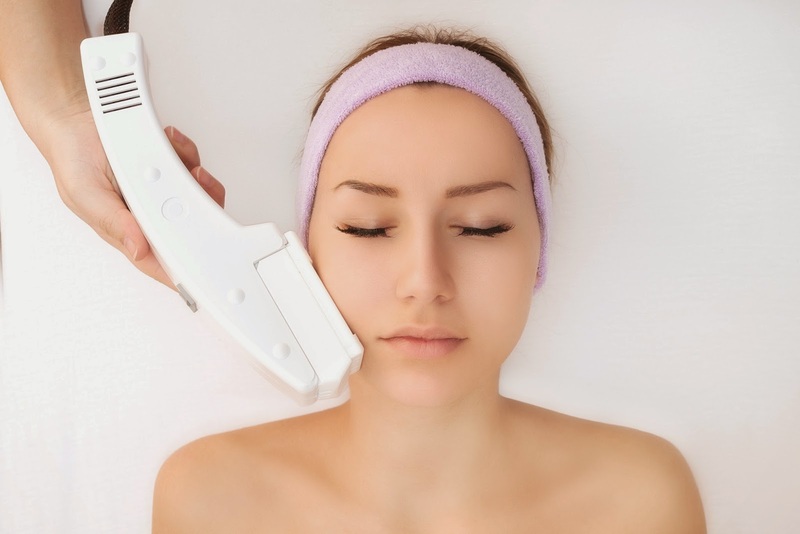 It encompasses three different types of methods: skin resurfacing, skin tightening and skin color. Through the skin resurfacing procedure, Laser360 stimulates new collagen to grow, improving your skin’s overall texture and tone. The tightening technology will firm up any unwanted loose skin around your eyes, nose and jaw through infrared light, which creates deep healing in your skin, helping you to regain a more contoured appearance. Finally, Laser360 will help to completely eliminate any skin pigments, broken blood vessels and vascular marks through its skin color segment. This treatment is not only safe and effective, but it can completely transform your complexion through a nearly noninvasive experience! Contact The SHAW Center at (480) 767-1900 to schedule an appointment to discuss customized treatment plans.